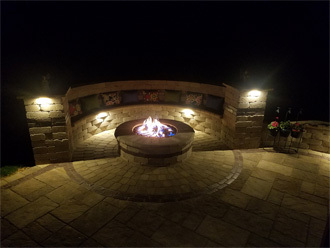 Pittsburgh's Hardscape and outdoor living space Design / Installation contractor. 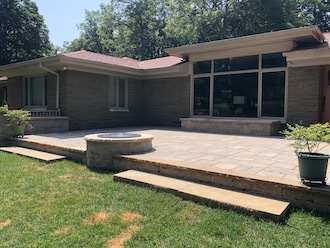 Pittsburgh Hardscaping and Outdoor Living Design and Installation. 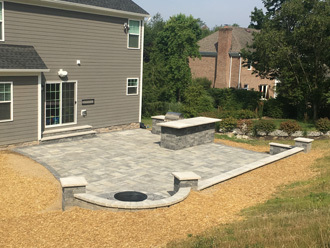 Hardscape, the best way to explain hardscape would be the opposite of softscape, softscape can be summed up as items like grass, plants, mulch, soil etc. 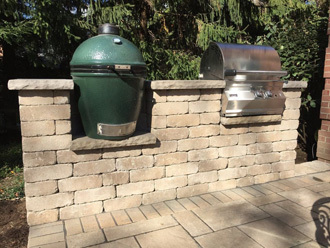 Hardscape would be the more permanent items such as Retaining walls, Patios, Steps, walkways, driveways etc. All of these items are part of our "Virtual Design". 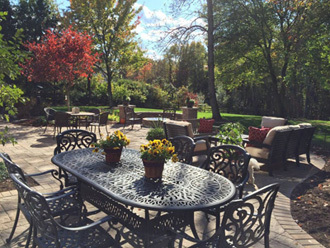 Having a good design prior to breaking ground of either a simple patio or the outdoor living space of your dreams can make visualizing your updated property and choosing the right contractor much easier. Palat Landscaping offers Free Virtual Designs, that are to scale and unique to your property's needs. Palat Landscaping's virtual design and quote process. 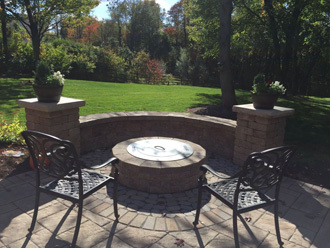 Palat Landscaping has really simplified the process of designing and installing your hardscape or outdoor living area. The first step is a on-site evaluation. 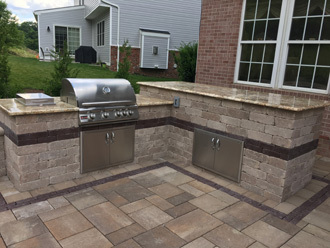 Jason will come to your home to discuss the details of your outdoor living area, during this time your ideas can be expressed, recommendations will be made and the necessary measurements and photos will be taken. Next the initial quote for the proposed work will be emailed to you. At this point changes can be made to the quote by either scaling it back, or adding items to it. After the final design is approved a contract will be sent and the job can be scheduled for installation. Sign Up for your Hardscape / Outdoor Living Design and Quote.